Ebonie is currently the Director of Sales of Storyful across the Asia Pacific region. Storyful helps the world’s biggest publishers and brands create engaging stories with its tools, insights, and content services. Storyful was acquired by News Corp in 2013 and launched its first office in Australia in 2015. Ebonie is responsible for leading the company’s commercial growth in the region through expanding Storyful’s work with publishers and developing its strategy for helping brands and agencies to connect with their audiences through social video. Ebonie’s role also sees her working closely with News Corp’s commercial teams and News DNA to drive innovative social video opportunities for the business. 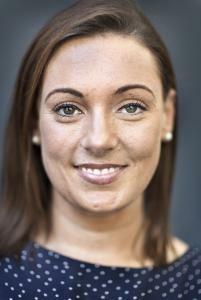 Ebonie is a skilled media professional, with a decade’s experience within News Corp businesses. She has strong knowledge and a proven track record in digital, spanning branded and native content, display and rich media and performance media. In her most recent role before Storyful, Ebonie was a Group Sales Director within the National Sales Team at News Corp. She led the team servicing key accounts and agency groups such as Toyota, Telstra, OMD and Mindshare. The most rewarding part of her role was mentoring emerging sales professionals and seeing them grow and succeed. Ebonie was awarded in the B&T “30 under 30” in 2012 for the media category. Ebonie holds a Bachelor of Communications and Media Studies, Majoring in marketing and advertising.